A simple way to preserve fresh green peas at home for summers. Long before frozen peas were easily available in Indian markets, mom has been preserving the fresh peas of the season for summers. Every winter, mummy would track the price of the peas and when the pea harvest was at its peak and the prices almost at their lowest, she would buy almost 10 kgs of peas from the vegetable vendor to preserve them for the summer. I’ve just come back from a 40 day trip to India and it is taking all my will to get back to a normal routine especially with cooking, clicking, writing, posting, and sharing. As I unpacked, I realised my mother has sent so many homemade goodies with me. 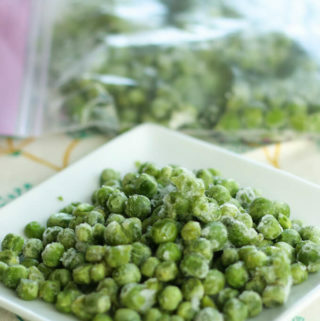 From sweets to snacks to pickles to home preserved veggies like these bags of frozen peas! If I need any inspiration when it comes to food and cooking, I just have to think of her :-). 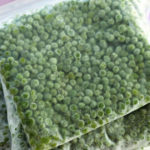 It is easy to preserve and freeze peas at home and they taste so much better than shop bought frozen peas. A lot of the taste of course depends on the pea itself and you have to make sure to buy them in the middle of winters when they are the sweetest and freshest. And then to preserve them soon after within a couple of days to lock their fresh sweet flavour. I remember all four of us spending one entire evening, every winters, shelling the peas for preserving. It was a fun family activity. My sister and I would also eat quite a lot of them during the process so our mom had to keep stopping us. Then she made a game out of it, whoever shelled the maximum peas in 10 minutes will get get to choose the lunch box menu for the week. That definitely made us stop eating them! Winter is the time for the freshest green vegetables in India and it is great to home preserve some of them like freezing fresh peas or drying and preserving leafy vegetables. If you have a daughter or sister living outside of India, this might be the best gift (along with the laddus and the mathris and all the homemade delicious delights!). Do you preserve seasonal vegetables at home? I would love to learn more such traditional tricks. If you like this method, please take a moment to rate the recipe and/or leave your thoughts at the end of the post. It will really encourage me to keep on improving. An easy recipe to home preserve fresh green peas. 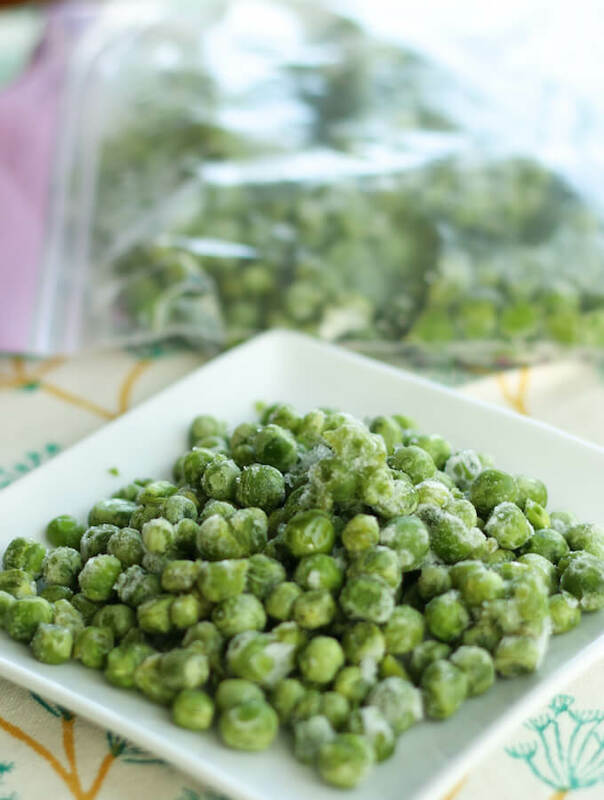 Frozen peas are great when peas are out of season and/ or when you need green peas immediately. While they are easily available in shops, home preserved frozen peas are healthier and tastier. Shell the peas and discard any peas that have gone bad. 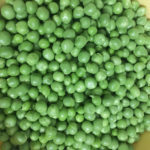 2 Kgs of peas will yield about 1 kg after shelling. Wash the shelled peas under running water. In a big pot, add water, salt and sugar. Bring the water to boil. Add the peas and bring to a boil again. Blanch the peas for just about 2 more minutes. Drain and wash under cold water to stop the cooking process. Once cooled, pack them in smaller batches in freezer bags for use whenever needed! 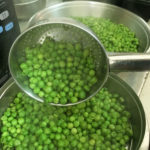 If you are preserving a big batch of peas, it is better to boil them in parts rather than all together. 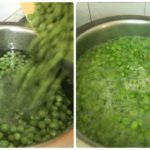 This would ensure they get evenly cooked.Don’t boil for too long else the peas will lose their colour and will shrivel up. Choose the peas while in the middle of the season. Peas at the beginning and end of season aren’t very sweet. To use, take out the required quantity, wash under running water and use as required. Alternatively wait till the peas come to room temperature. Since the peas are already cooked, add them towards the end of your recipe. The frozen peas in the bag will be all clumped together. Just beat lightly with a rolling pin or the back of a spoon to loosen them up. 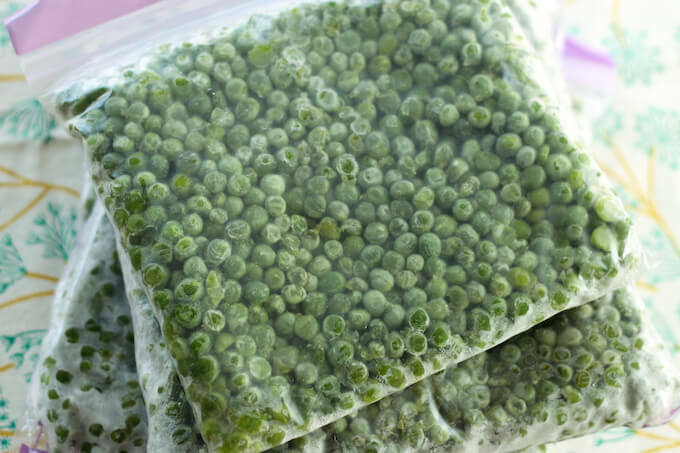 Take out the desired quantity from the freezer bag and thaw the frozen peas by washing under running water. Since the peas are already blanched, they take very little time to cook.